Avilés ([aβiˈles]) is a city in Asturias, Spain. 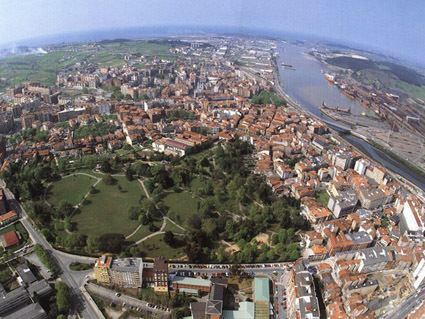 Avilés is with Oviedo and Gijón, one of the main towns in the Principality of Asturias. The town occupies the flattest land in the municipality, in a land that belonged to the sea, surrounded by small promontories, all of them having an altitude of less than 140 metres. Situated in the Avilés estuary, in the Northern Central area of the Asturian coast, west of Peñas Cape, it has a national seaport and is an industrial city. It is close to popular beaches such as Salinas. It also has important churches like St. Thomas of Canterbury. Avilés has the Centro Cultural Oscar Niemeyer, too. The area experiences an oceanic climate, warm summers with both overcast and sunny days. In winter the weather is moderate, with significant rains and wind, although sometimes the cold climate of Asturias results in snowfall at sea level. The temperature is rarely below zero or over 30 °C (86 °F). Summer highs are exceptionally low by Spanish standards due its heavy maritime features and northerly position in the country. Archaeological excavations have shown that the area was already settled in the upper palaeolithic era. The existence of the town proper date is documented only in the early Middle Ages, although the name "Avilés" is thought to come from a local Roman landowner, Abilius. 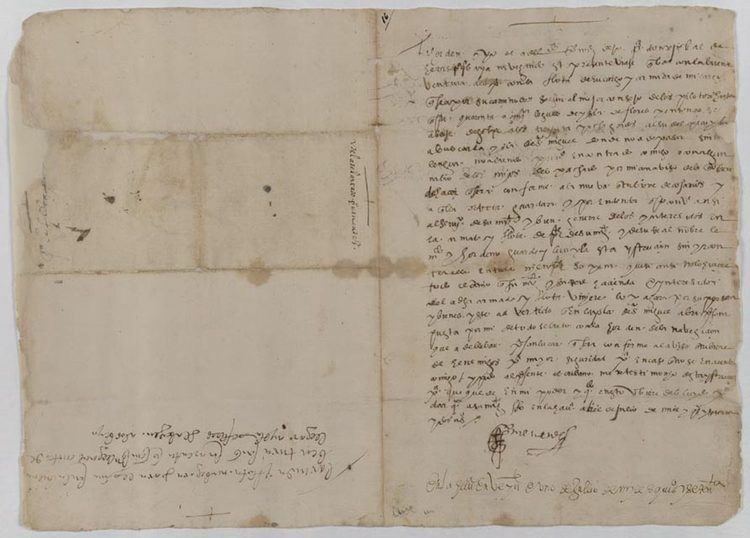 The first well known document is an endowment of two churches by Asturias King Alfonso III, in 905. During the Middle Ages, it was one of the most important ports of the Biscay Bay, trading mainly with French ports, the main trade was salt. At this time, it had two nuclei: a fishermen's district, Sabugo, and the aristocratic centre, La Villa, standing each other across a small water inlet at the site of present-day Avilés' main Park. La Villa was surrounded by strong walls, which demonstrated its strategic and commercial importance. On 15 January 1479 the Catholic Monarchs granted a free market on each Monday of the year, which still takes place. The importance of the town as a naval centre is supported by the building of ships with wood harvested from nearby forests, and with the participation of local sailors in the conquest of Seville by the Castilian army, which is reflected in Avilés's coat of arms. It is the birthplace of Pedro Menéndez de Avilés, a soldier on the army of Felipe II, who explored Florida in the 16th century and founded in 1565 the first successful (continuously populated) European town in what is now the United States, San Augustín (now St. Augustine, Florida). St. Augustine and Avilés are now sister cities. 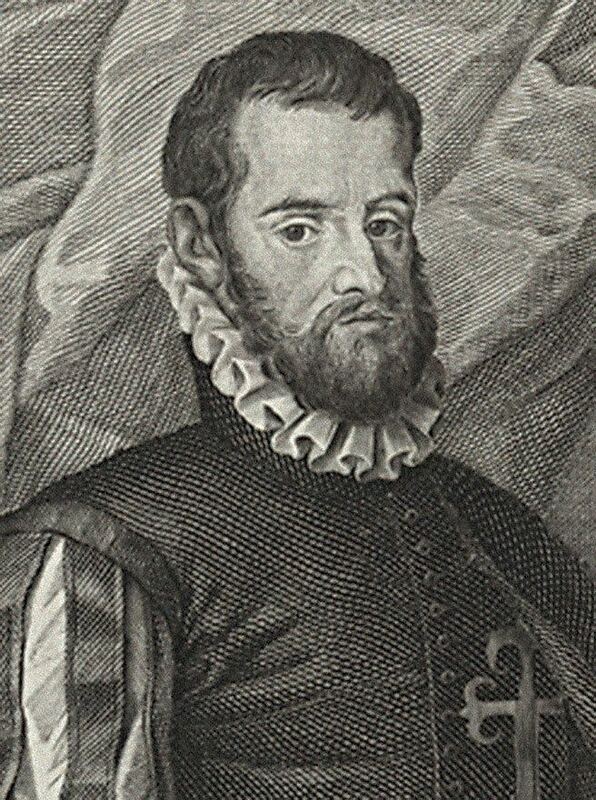 Avilés is also the birthplace of Juan Carreño Miranda, court painter to the king Charles II. The estuary, which had been closed to navigation since the early modern era, was partially drained and cleared in the 19th century. The water inlet dividing the place was covered, so that the two nuclei, Sabugo and La Villa, could be joined together. Then the city began to grow outside the medieval wall, which had been demolished in 1818. In the 20th century, there was an enormous growth in population due to the arrival of several large factories to the town. In 1953 were started the first earthworks for the construction of the factory of ENSIDESA, a large steel mill, currently Aceralia (part of ArcelorMittal); other companies in the area are Cristalería Española, which together with ENDASA, currently Alcoa, transformed Avilés into one of Spain's industrial centres. Nowadays, the city is trying to focus on new industries, particularly cultural tourism, and recover its antique flavour. Palacio Valdés Theatre, in Neobaroque style. Alfercam Museum, where visitors can find a combination of world musical instrumentas and vintage cars. "Casa de Cultura", including the Bances Candamo public library, art gallery, reading and study areas. CMAE - Centro municipal de arte y exposiciones - arts and exhibicion centre in El Arbolón area, not far from the town centre. Oscar Niemeyer International Cultural Centre,designed by the Brazilian architect Oscar Niemeyer. It is a magnet for different personalities, including winners of the Prince of Asturias Awards, the Nobel prize, musicians, actors, the United Nations, etc. Throughout the town there are sculptures in various styles: the set of sculptures in El Muelle park, specially the Pedro Menendez sculpture and La foca (the seal); the Ruta del acero set of sculptures along the Avilés estuary; Avilés sculpture, and different ones such as: Marta y María, El hombre que escucha la piedra (the man who listens to the stone), El eslabón, Entre bambalines, etc. Feast of the Amagüestu (Autumn). The Antroxu (Carnival in Asturian language) which includes the Descenso Fluvial de Galiana (Galiana's River Descent) (winter). Feast of the Bollo (the bollo is a traditional cake). Comida en la Calle (Lunch out in the street). Feast of Saint Augustine, Avilés' patron saint. The Interceltic Festival of Avilés, which takes place in summer, with people coming from Brittany, Ireland, Wales, Scotland, Galicia and Asturias itself. Interceltic Festival of Avilés, which takes place in summer, with people coming from Brittany, Ireland, Wales, Scotland, Galicia and Asturias itself. Sol Celta organized from Sol Street. IndieGo Alley Festival, International Creative Commons film and music festival (live music, videoclips, experimental cinema and short-films) organized in Palacio Valdés street. It takes place during just one evening.